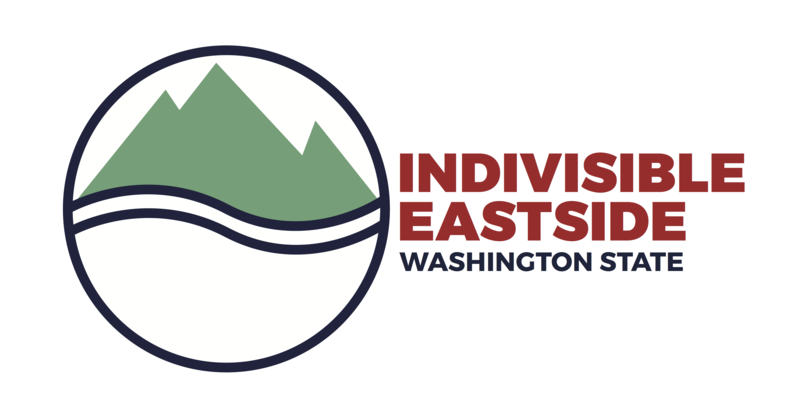 Indivisible Eastside – WA is based on the Indivisible Guide, Indivisible On Offense, and Indivisible States. These guides describes how you can help make a difference in the Eastside and our country. Thank you for reading! Join us on social media! Check out the social media icons at the top right of each page on this site. Another important way to help is to do our Weekly Actions or subscribe to our Action Email. You can subscribe on any page of this site. Just look for the form below the social media icons on the right! Often taking action is as easy as making phone calls to your members of Congress (sometimes you’ll see them called MoCs). Sometimes we’ll ask you to show up for an in-person event. Another way to help is to spread the word. Share the Indivisible Guide and encourage your friends to join their local group (they can find theirs on the website). Invite your Eastside friends to join our group. Share our Group Actions. Like our public Facebook Page and select to receive notifications from our team (How to enable notifications so that you don’t miss any action alerts). Join our private Facebook Group and join the discussion about the many issues of interest to our community. Defending our values against the Trump Administration is a big job! To help with this, we have created a set of Topic Groups focused on specific areas. While making calls and showing up at rallies is the most important way we can all contribute, if you want to get more involved, the next step is to join a topic group. We are organized into groups of people who focus on small tasks that add up to making a big difference. See the Volunteer page to find a topic group(s) that might interest you! Topic Group Meetings. Each group meets separately. Please email a topic group lead for information on their next meeting. Contact information on the Volunteer page. Group Meetings. Indivisible Eastside meets monthly. These and other events are listed on the right side of pages on this site. What are we working on right now? We’re growing quickly and have many infrastructure needs. Please email us at hello@indivisibleeastside.com if you can help. Can I be in multiple topic groups? Of course! Many of Indivisible Eastside members have skills that several groups need. Please feel free to help wherever you can. Who do I talk to about… ? Send any of our topic group leads an email directly, or ask any question at hello@indivisibleeastside.com. We’re just an email away!! Remember this is a MARATHON and not a sprint! In the words of the Indivisible National Team: “This is the long game. We are going to lose a lot. We are going to get good at losing…But while we are losing, something else is going to happen. We are going to keep raising our voices and slowly our representatives are going to start listening to us. We’ve seen it happen”.